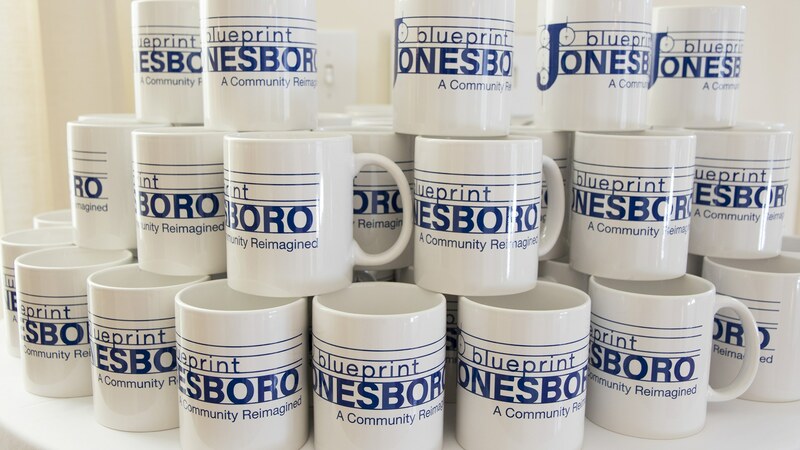 Blueprint Jonesboro builds on local history and the newly created Lee Street Park to create a new vision for downtown Jonesboro, Georgia. 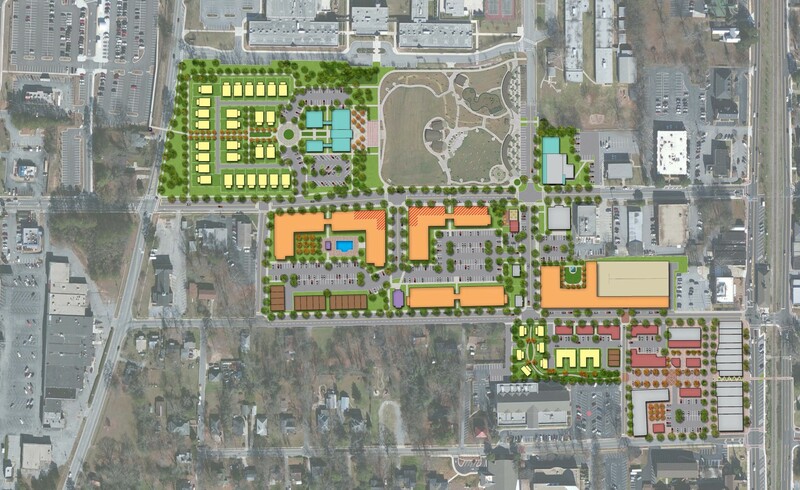 This Master Plan serves as the ten-year update for the 2003 Livable Centers Initiative (LCI) plan. 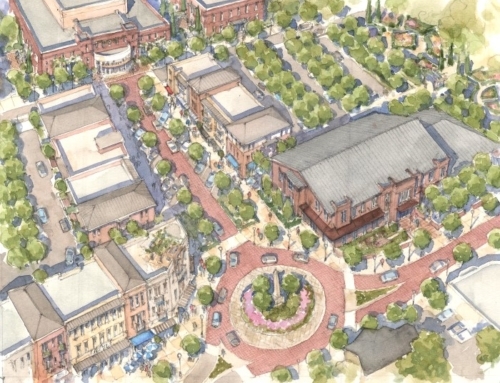 It focuses on attracting new restaurants and businesses, increasing housing opportunities, constructing a new City Hall facing the park, and creating a more walkable downtown. 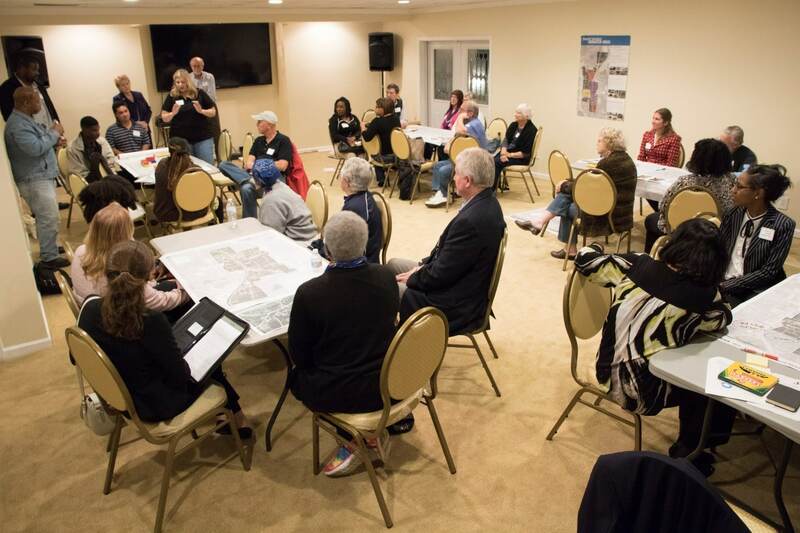 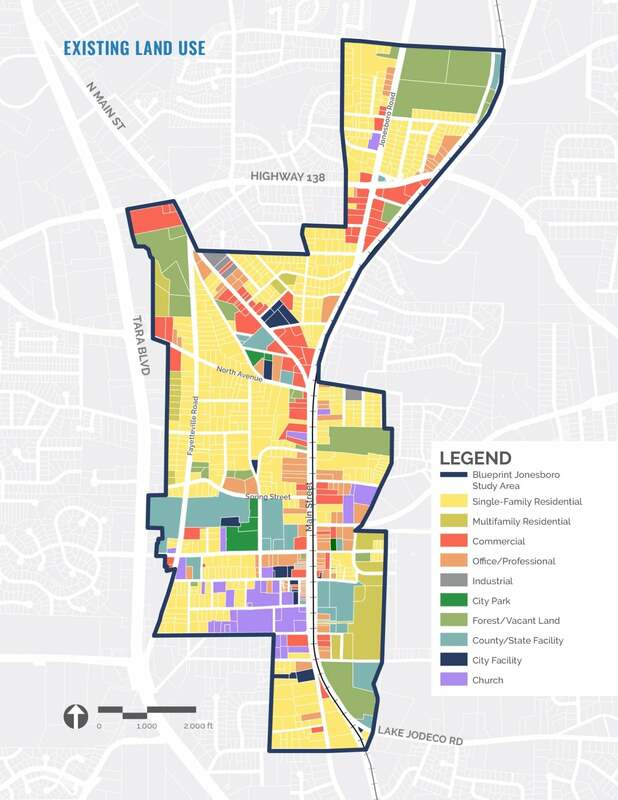 A detailed community engagement process allowed many local citizens to contribute to the effort through a workshop and other public meetings, one-on-one interviews, an online survey, a steering committee, and a draft plan open house. 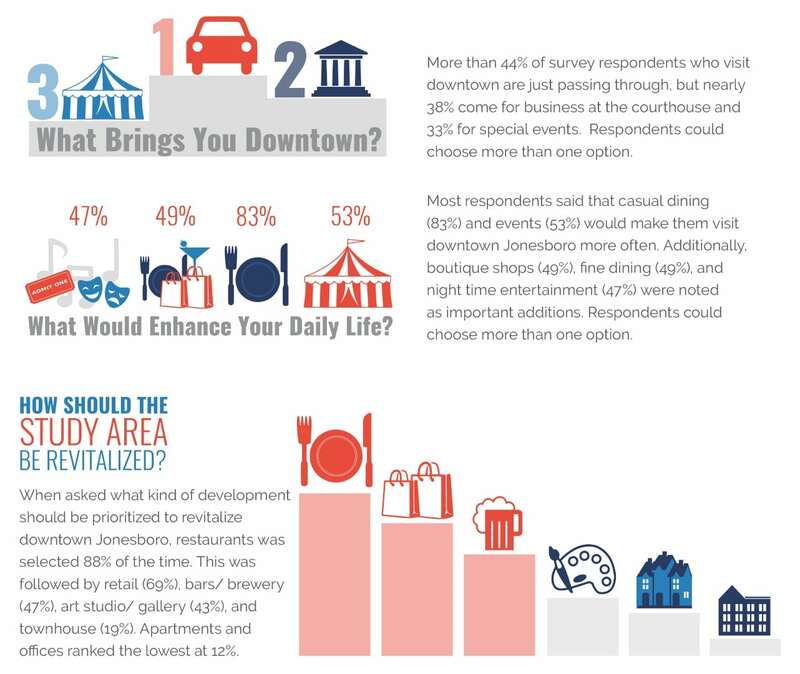 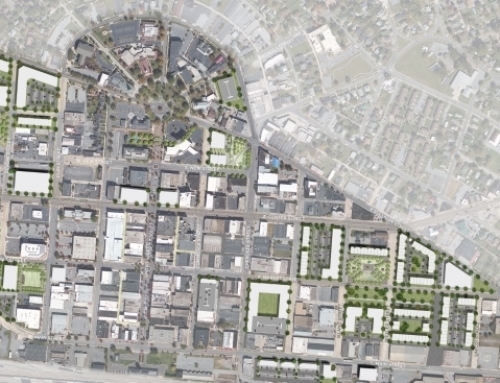 The resulting concept plan, shown below, puts forth a bold vision for the future of downtown. 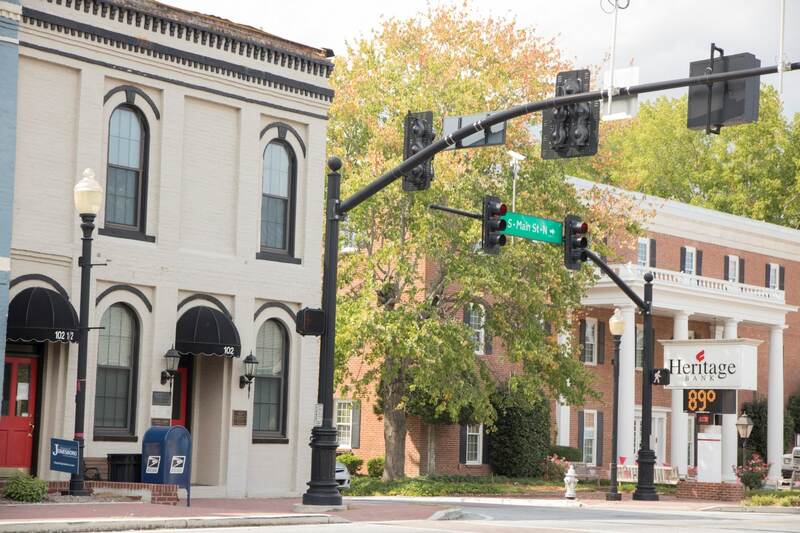 The new City Hall will replace existing aging and scattered city buildings with a new civic icon that fronts and anchors Lee Street Park. 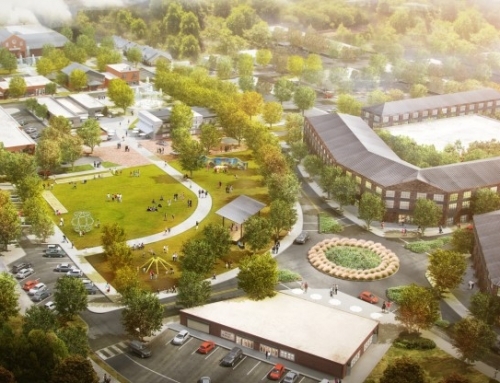 New cottages and multifamily residential buildings will add vitality to the park and, combined with infill retail and other development, will reconnect historic Main Street to the park. 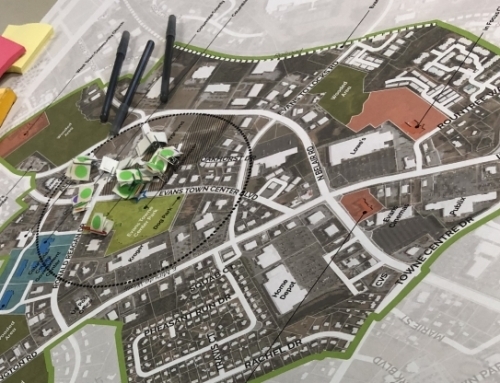 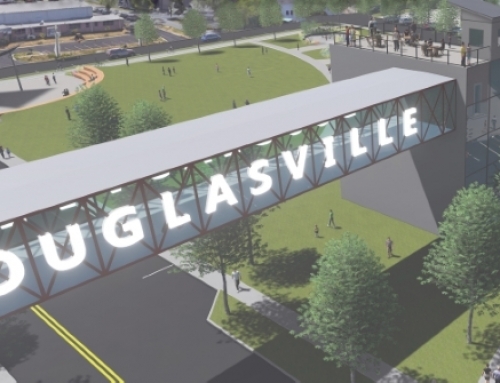 The plan also recommends new sidewalk connections, a downtown business recruitment plan, a branding and marketing exercise, a design overlay, the rehabilitation of historic buildings, and a multi-use trail that will connect to the proposed commuter bus park-and-ride. 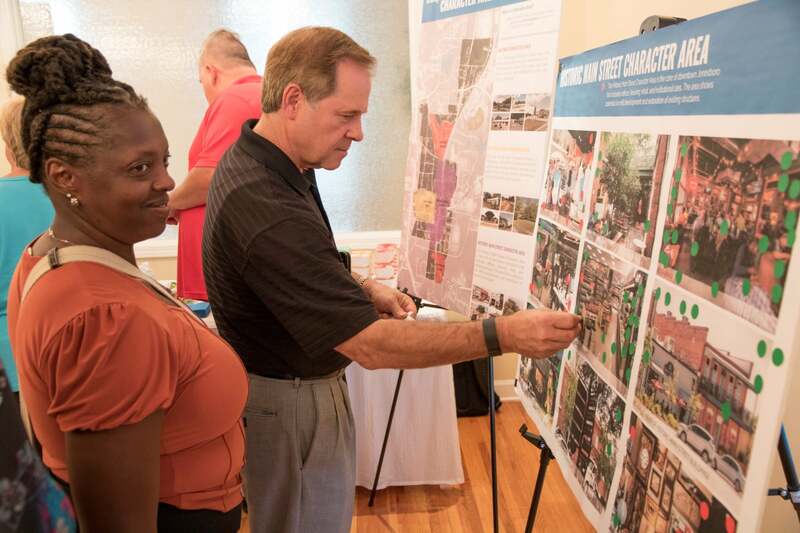 The County and local church will serve as implementation partners given their significant presence downtown.